I'm busy reading various clinic websites, checking out pricing, profiles, techniques and results. While some have impressed I'm somewhat concerned when they claim Fue leaves no visible scarring.Would you cross a clinic off your list if they make these claims? Not necessarily cross them off, if they do good work simply ask them why they state this. All Fue leaves visible scarring to some degree, it might be hard to see In some patients but it's there. Take your time researching, decide if a Ht is something you really need, it can turn into a lifelong thing. It would certainly make me wary. A reputable clinic simply wouldn't make this statement because it's at best very misleading. It would make me question what other 'facts' they are claiming as truths. I was checking the London Harley Street hair loss clinic websites. I travel to London for work on a regular basis, hence a clinic there would work for me. 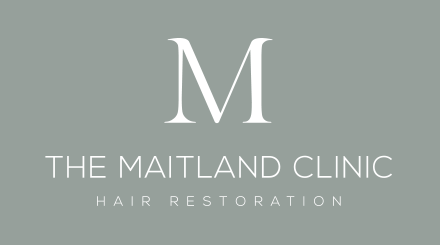 The treatment is carried out under local rather than general anaesthetic, eliminating risks and downtime associated with other hair transplant procedures. And, because the treatment is minimally invasive, there is no detectable scarring and, in most cases, patients are able to return to work the next day with their results. I think "detectable" is subjective and assumes you aren't going to be shaving your head to the skin or to a 1 guard. If you are, don't get a hair transplant. I know the owner of this clinic, assuming you're talking about the clinic that did Wayne Rooney, and I think he's one of the good guys. Talk to them, ask for clarification. It's not Wayne Rooneys clinic. It's one of several clinics in the immediate area of Harley Street. If detectable is "assuming a no shave hair style" then it should say you can't shave down as scarring g will be visible. Shaved back and sides, longer on top is very fashionable. I myself like to style my hair like this. If a clinic says my scarring will be undetectable, I would assume I'm safe to shave down because the scarring is undetectable. Only by looking at patient donor areas on these forums have I learnt this. If detectable is "assuming a no shave hair style" then it should say you can't shave down as scarring g will be visible. I don't think they should even say undetectable in any sense. I believe that blanket statements about scarring are setting up false expectations and that the wording should more resemble "difficult to detect" or something else that is more realistic. 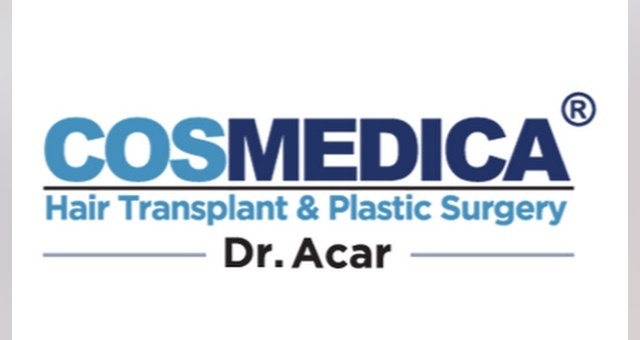 Many patients do indeed have undetectable scarring but donor density, healing characteristics, donor extraction pattern all play a part in how your donor looks at various lengths. My thoughts exactly. Difficult to detect is a more accurate description. I never like the "FUE is scarless" or "undetectable scarring" type of claims as it's misleading to patients. I've even read on couple websites that FUE is "a treatment" not a surgical procedure. I'm with Pete that you have to wonder if you can fully trust these clinics. When a clinic states this, ask them to explain how it leaves no scarring. What would be the optimal punch size to minimise scarring? Logically it would be the smallest punch available, which I think may be a .5mm but that is too small to be considered a reasonable size to work with. Most clinics will work in the .75mm to.85mm range with some cases necessitating a 1mm overall sized punch but that is a less common case that needs a 1mm punch. The undetectability of the scarring, sometimes inaccurately described as "hypo pigmentation" in order to allay fears and concerns, depends a lot on how you heal as a patient and how the extractions are carried out by the tech or doctor. Personally, I believe a .85mm is the largest one should ever really consider using but exceptions always exist. That makes sense. Thank you Joe. I recently read an article from a newspaper that stated FUE leaves no scar, this is not true. All FUE will leave a scar, some larger than others. Exact, FUE always leaves a scar. The point here is if that scar is visible or not, depending on the punch used and the skin / hair characteristics of each patient. But the scar is always there. It is a very old topic, however there is no such thing as scar free. All depends on the punch size, the extraction pattern, healing characteristics, skin colour... and experience. Here an example of what we believe is the difference in experience, extraction pattern can do under similar conditions and virtually same number of extractions. In some cases we use at our clinic 0.7 for fine hairs and in very rare case we use 0.9 or 1.0 mm when dealing with very thick hair or with patients with over average hairs per graft. Mostly we use 0.80 mm punches. Left picture : Non Belgian clinic, donor area shaved about 2 years after procedure, 2000 grafts. Extraction tool size used unknown. Right picture: Prohairclinic, donor area shaved about 1 years after procedure, 2000 grafts. Extraction tool size used 0.80 mm. On the left you can clearly see the extraction pattern is less then ideal  combining adjacent extractions (or attempts of extractions). Although both where harvested 2000 grafts, it is clear not the same optical result. Alarming however is that many patients now seek cheap and fast  procedures knowing that their donor might be damaged or depleted after just a single session. Their reasoning is (falsely) that the damage like in the left picture is easily  fixed using SMP ¦ it is NOT! Thank you Pro hair for that useful information and the examples of extraction patterns that play a major role in preserving the donor region. I hear many SMP clinics make claims they can repair the donor areas with SMP, they make it sound easy. While you say it is not as easy as people think which is what I believe.